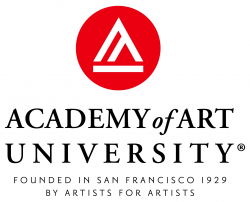 Academy of Art University, established in 1929 by Richard S. Stephens, transforms aspiring students into professional artists and designers. For three generations, the Stephens family has been devoted to the development of aspiring artists and has held the fundamental belief that with proper instruction, hard work and dedication, students can learn the skills necessary to become artistic professionals. Driven. Engaging. Innovative. Do these words motivate you? If so, then we want to talk with you. Academy of Art University offers a rewarding employment experience for those who excel in a dynamic environment and who can consistently deliver high-caliber customer service. We thrive on ingenuity and pursue ideas every day that lead to extraordinary opportunities for tomorrow.